Interspersing the hits of the 30's and 40's, breaking news-stories from the war-years, original songs, and 40's style radio commercials, this band is like taking a time-machine back to a WWII U.S.O. show. 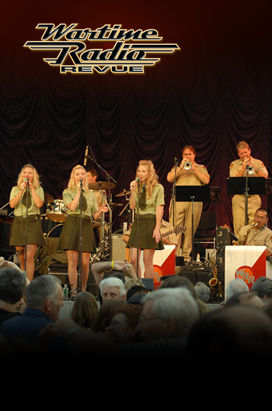 The Wartime Radio Singers was put together by Los Angeles band leader, Pete Jacobs, to be the vocal group for his band, the Wartime Radio Revue, an authentic 1940’s era Swing Orchestra. Matt Mauser and Pete Jacobs capture Sinatra at the height of his career when singing with The Count Basie Orchestra in Las Vegas. Matt’s vocal style and Pete’s genius as a conductor are a tribute to the two greats coming together. A small jazz swing combo of five to nine musicians. 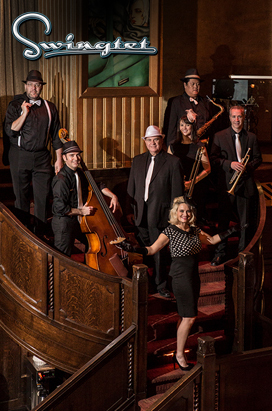 Pete and the band feature music from the 30’s and 40’s, featuring such artists as Bobby Darin, Kay Starr, Ella Fitzgerald, Louis Prima, as well as their own arrangements of classic swing-tunes. 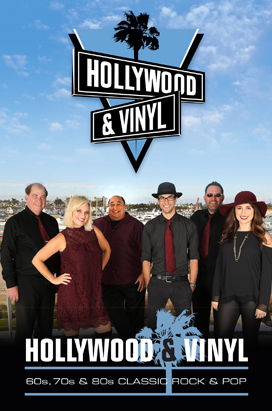 Hollywood and Vinyl plays all the great songs from the 60’s through present day. This band is perfect for Weddings, Galas, Parties etc. 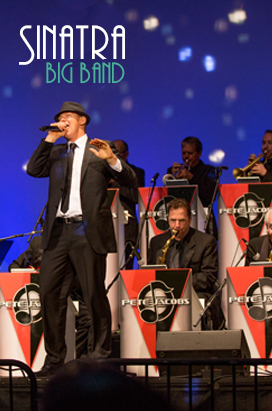 Pete Jacobs presents the highest in quality musical acts such as the renowned Wartime Radio Revue Big Band (classic WWII era swing), Hollywood and Vinyl (pop-rock all decades), the intimate Pete Jacobs Swingtet (jazz and swing combo) and the swingin’ sounds of the Sinatra Big Band.